Dr. Jacob Martin is a chiropractor in Santa Barbara. If you or a loved one are in the middle of a health crisis, or you want to live a healthier lifestyle, chiropractic can make a difference. Schedule an appointment today! Unfortunately, there can be interference to the communication and expression of this intelligence within your body. This interference causes dis-ease, weakness, and imbalances within your nervous system that can cause all types of immediate health problems. Or, this interference can lie dormant and asymptomatic for decades, leading to severe health conditions, chronic pain, deterioration and disease down the road. Nerve Interference in the spine is called a vertebral subluxation. Lifestyle Interference is a result of poor health habits such as overeating, poor nutrition, excessive drinking, taking prescription or non-prescription drugs, or sitting too much. Environmental Interference is caused by toxicity from air, food, water, or chemicals, as well as accidents or natural disasters. All three types of interference can cause pressure in your spine and nervous system and affect your health on every level. Chiropractic Care Our office will provide you with the highest quality chiropractic care in a caring supportive environment. Whether you are in the middle of health crisis from a new injury or a chronic condition, or you are ready to make the critical transition to a healthier lifestyle, our team will work with you to help you and your family reach your health goals. Nutritional Therapy Good nutrition is essential. Using a variety of resources, ranging from dietary counseling, healthy weight loss strategies, educational workshops and supplementation, we will help you and your family maximize your health through good nutrition. Rehabilitation Therapy The rehabilitative services that our office provides in conjunction with your chiropractic care will help you speed your recovery, brought on by trauma such as car accidents, sports, or work injuries. These non-invasive services will help restore function to the injured areas of your body and help you achieve maximum recovery as quickly as possible. Our office provides ongoing educational workshops that are open to the community, on a variety of topics, to help you maximize your health. We also provide health and safety programs to companies, organizations and school systems to help improve the health and well being of everyone in our community. Mission Statement and Core Values We believe every living thing contains within it the ability to self-heal and self-regulate, a property known as innate intelligence. We believe every person deserves optimal life expression of innate intelligence. Optimal life expression can only be achieved through proper function of the nervous system; that is when the nervous system is free of interference caused by vertebral subluxation. Proper nervous system function can only be achieved by being checked for subluxation and adjusted regularly by a chiropractor - it is not achieved through drugs and surgery. It is not achieved through physical modality. Therefore, we believe every man, woman, and child should be checked and adjusted regularly by a chiropractor for subluxation. 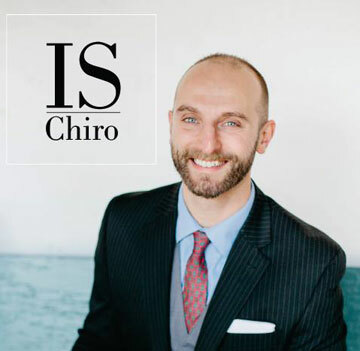 Inner Strength Chiropractic is the commensurate institution for one to be checked and adjusted in the Santa Barbara Community. We intend to express this message through open heart space communication from an honest and loving place. As this message spreads, it helps to cultivate vitalism and heal mind, body, spirit, and planet. It is our goal to always role model these principles in our own lives through collaboration with our community partners. We are committed to lifelong education through attending the latest chiropractic seminars and applying our knowledge in our practice and community. "Chiropractic is a wonderful, natural cure! My two year old daughter had never been to see a chiropractor but I wanted to take her to see Dr. Jacob so that when the day came that she need to have an adjustment she would feel comfortable with the process. She is shy and was very hesitant to get on the table or have Dr. Jacob touch her. Dr. Jacob talked very calmly to her and got her to relax and lay down. She seemed to enjoy it and later wanted to adjust me. Well the day came where she needed an adjustment. She had a low grade fever and chest congestion for two weeks. She knew what to expect with her adjustment. Within the hour, her fever subsided and she was running around. She still had some congestion. However, an adjustment two days later seemed to have cleared that up too. "Chiropractic is a wonderful, natural cure without the bad effects of medicaton." Thank you, Dr. Jacob." "I felt immediately more balanced! Jacob is a gentle and generous person. I've never had a chiropractic adjustment done before and Jacob explained to me so carefully the health-enhancing effect of correcting spinal joints. I didn't actually know the importance. Right away, from the very first adjustment I felt the benefits. I felt immediately more balanced and a very nice flow of energy run in my spine, up to my head. It was just so relieving! I strongly encourage everyone to try J. Martin's treatments!" "I am beyond grateful to Dr. Jacob at Genuine Chiropractic for getting me in on very short notice while traveling through Santa Barbara. A few days into my travels, with terrible back pain that was not subsiding, I reached out to Genuine Chiropractic early Monday morning. I was amazed at how quickly Dr. Jacob responded to my voicemail and how he was able to fit me in for later that morning with a follow up the next morning. My experience at Genuine Chiropractic was more supportive than I could have imagined. The office itself is beautiful and feels like a very healing space. After those two adjustments, my back pain substantially improved. This helped me enjoy the rest of my trip and feel much more comfortable during two very important interviews that week. Dr. Jacob is a very talented chiropractor. He provides very precise and effective chiropractic care with compassion and makes you feel very comfortable with the whole process. I personally have a father who has practiced chiropractic for over 30 years and am particular about recommending chiropractors. I highly recommend Dr. Jacob to anyone in the Santa Barbara area. I wish I could continue my care at Genuine Chiropractic, but live on the east coast. I am so appreciative to have found this gem of a chiropractic office, thank you Dr. Jacob for your superb care!"